Arrival of the month of September means the wet monsoon season of India starts to recede away, making way for clear skies and the next season. At this point of time, the idea of planning a vacation becomes a tempting one. This pleasant weather allures us to explore new places, leaving away the comforts of our homes. If you have not been to plan a trip during the monsoon, you can surely do it now for enjoying the year’s last showers. September surely is one of the best times to plan a vacation, because of the amazing weather. If you are planning a tour to India, there are a number of destinations sprinkled all around the length and breadth that you can choose from. Keeping in mind the varied tastes of travelers, we have compiled an interesting and exciting list of places to visit in September. Go through and pick the destination you wish to explore this month. Land of the Rajput warrior princes, Rajasthan is one of those destinations that is preferred by global visitors throughout the year. However at this time of the year Mount Abu rules the roost but visits to Shekhawati region as well as Pushkar, Jaipur, Jodhpur and Udaipur still remains popular making Rajasthan as one of the top destinations to visit in India in September. The only thing “to be missed” part are the sand dunes of Thar Desert. Goa is a favorite holiday spot in India and that is not limited to any particular season or month. There are few months that enhance its tropical bliss and September is one of them. Freshly washed by the rains the smallest state in the country is bustling with delights. 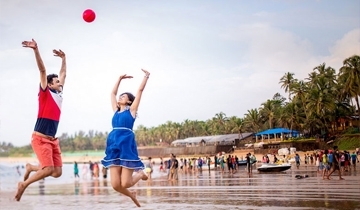 A visit to Goa in September is perfect for trekking to Dudhsagar falls, apart from visiting the churches, forts, wildlife sanctuaries and enjoy the languid pleasures of the beach state. God’s Own Country Kerala needs no introduction, it is a paradise on Earth. September is the end of the monsoon here and the time for festivities. 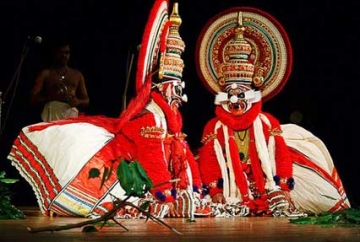 Onam, the biggest celebration in the state is on the calendar. The month is perfect for Ayurveda sessions as the humid weather is best for the ancient science to work its magic. 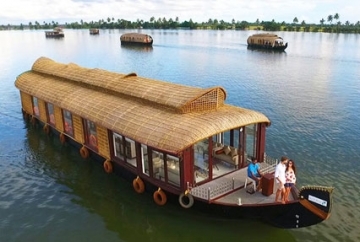 From houseboat cruise on backwater, walk through tea & spice gardens, trekking amid wilderness, view thundering waterfalls, the options are vast and thrilling. Set at an altitude of 3500 meter amid the Himalayan and Karakoram ranges, Ladakh is a land of mountain passes, monasteries and monuments. The destination represents natural beauty at its best with its white dunes, sparkling blue water and majestic mountains. Ladakh is truly an ideal destination for every kind of traveler as it offers a wide variety of attractions. Ladakh also has much to offer to shopaholics with some popular items like Tibetan jewelry, woolen clothes and carpets. 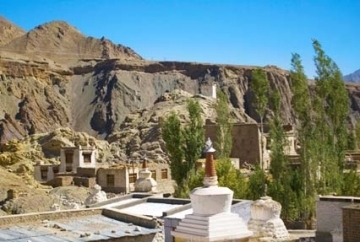 September is a good time to visit Ladakh and enjoy sightseeing at its different attractions like Pangong Lake, Thiksey Monastery, Hall of Fame, Drass War Memorial, Zanskar Valley, Magnetic Hill and Shanti Stupa. 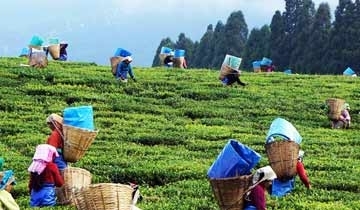 Snuggled in the lush North Eastern Himalayas, the hill town of Darjeeling is a charming escape for vacations. Come September and the town is fresh from rains and free from crowds. 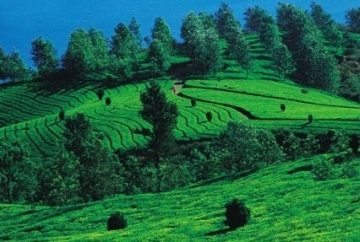 The tea estates sparkle like emeralds. Roads are enveloped in mists. Rivers and rivulets in full swing making river rafting all the more exciting. 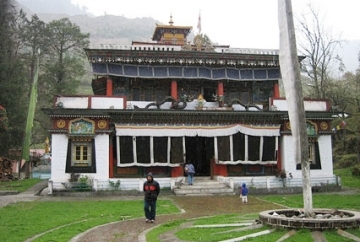 Pay a visit to the ancient Tibetan monasteries. Go trekking, hiking or relax in the town. September is good to go as you can enjoy some amazing deals. 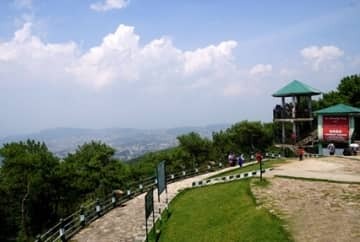 With rain abetting and heat and humidity in the Northern plain making it difficult to plan a holiday, destinations in Himachal Pradesh such as Shimla, Manali and Dharamsala offer great respite from heat. Revived and lush with arrival of autumn, the scenic beauty is at its prime here. Absence of heavy snow and mild weather makes Himachal Pradesh one of the top places to visit in India in September if you are looking for vacation. 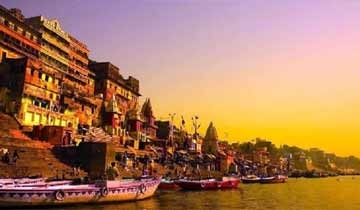 Well-known for its sanctity, Varanasi is one of the holiest cities of India and an important destination for not just Hindus but for Buddhists and Jains alike. The city houses numerous attractions including pious temples, ghats, Jain shrines and Buddhist stupas attracting a huge number of devotees and tourists every year. According to Hindu mythology, one who gets their cremation or death rituals performed here attains instant release from the painful cycle of life and death. September is essentially marked with religious gatherings of devotees on the Ghats of Ganga. A holy dip in Ganga is considered pious. 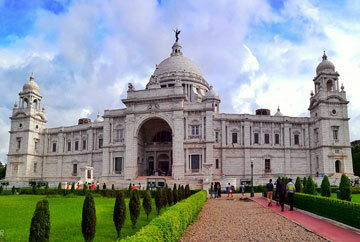 The important attractions you may visit here are Kashi Vishwanath temple, Dashashwamedh Ghat and Manikarna Ghat. To witness the true beauty of the state, visit during the month of September. The cool breeze refreshes the verdant landscape. Two of the rainiest places on Earth here will take you to the land of everlasting rains. This is the time when the roaring waterfalls come into their own, creating a fascinating spectacle. It’s also the best time to view the exciting wildlife in the region. National parks and biosphere reserves are highly visited destinations this time of the year. 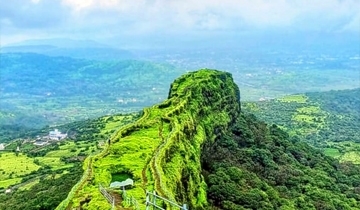 The verdure beauty of Lonavala is blissful in monsoon. Snuggled in the Sahyadri mountain ranges, the hill town enjoys pleasant weather, as light showers mark the month of September. Enveloped in the cloak of serenity, layer of mist enjoy the alluring greenery, rare flowers, birds and butterflies while trekking. Stop by the breath-taking waterfalls and lookouts offering panoramic views. Get away from cities and breathe in fresh air. Choose to stay in hotels or campsites, both offer a good experience. Andaman along with Nicobar island, form a large group of nearly 600 islands in the Bay of Bengal. From the account that the islands were accessed after a long time, the region is mysterious and rare. However, these islands present a magnificent view, the water is transparent with tall edging trees along the sides; and numerous rocks and islets. The best time to visit the islands would be towards the end of the monsoon season, with less rainfall, but just enough to make the place vibrant and calm. 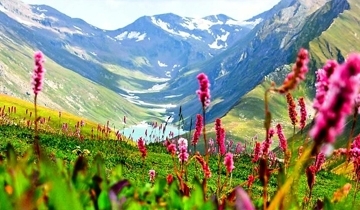 God’s awe-inspiring creation, the Valley of Flowers in Uttarakhand is one of the best places to visit in September. 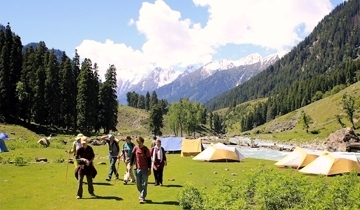 The valley is a part of the UNESCO World heritage site accessible only by trekking. Serene and blessed, the valley is home to indigenous flora and fauna. 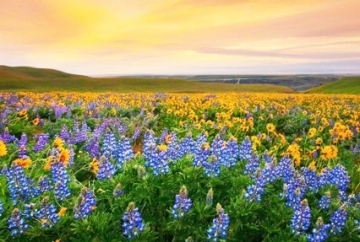 Why we suggest September is, after the rains the valley transforms into a sea of flowers. Around 400 species of mountains flowers in every shade bloom here. This natural spectacle is limited only during the monsoon months. 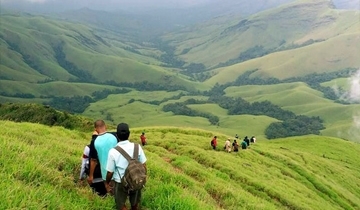 Coorg or Kodagu is located in the Western Ghats, Karnataka and is one of the top tourist destinations in the state. It is known for the view it offers of the lush green coffee plantations, trees and the mountain ranges. This hill station serves as a right place to get rejuvenated and refreshed. The best time to visit Coorg is in the during the monsoon season, You can watch the numerous waterfalls, flowing in full intensity and experience the rainfall in this hill station. 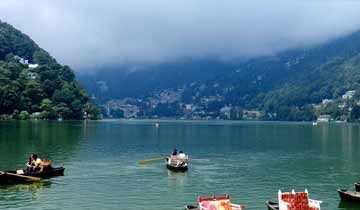 ‘City of Lakes’ Nainital is a popular getaway in the mountains and even more so in September. Enveloped with lush beauty, lakes, temples, lookout in the mountains and more, after the rains it’s all the more charming. The beauty, relaxing environment, wide range of hotels and no crowds make this destination one of the best places to visit in India in September. Since it is not considered a peak season, there are also a lot of amazing deals on offer. 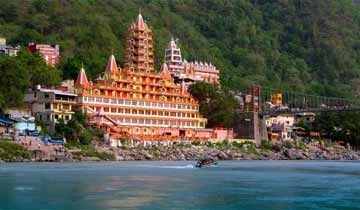 Settled on the banks of River Ganga and the lap of Himalayas, Rishikesh is a town of myriad wonders. A hub of adventures as well as yoga, spirituality and bliss, it lures people from all walks of life. September is one of the best months to plan your trip. The river will be in full flow, so river rafting will quite exhilarating. Camp on the river beach, practice yoga and meditation or pay a visit to the ancient temples and ashrams. 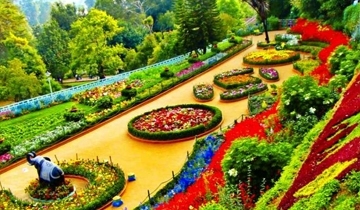 The ‘Queen of Nilgiris’ Ooty is one of the most favored hill stations in India. September favors the weather enhancing its bliss. 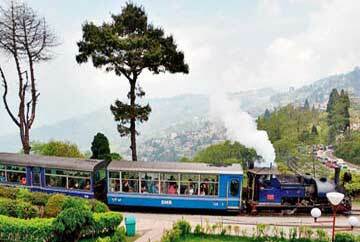 Arrive on the Nilgiri Toy Train. 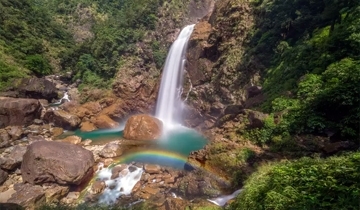 Walk amid tea gardens and coffee plantations, spot waterfalls and picturesque views. The lush Botanical Gardens, are adorned in blooms after the monsoon. Kamaraj Sagar Dam and Avalanche Lake offer thrilling boating. 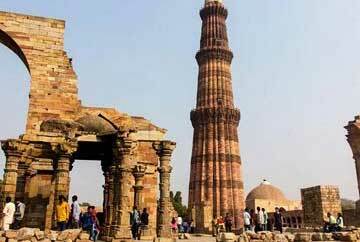 Check popular tourist sites. Go hiking and trekking indulging in a dose of thrill. Also, taste the local delight of chocolates. 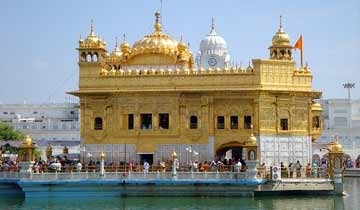 A city with an enchanting blend of tradition and culture, Amritsar is one of the holiest places for Sikhs in India. It was built on the lines of religion by Guru Ram Das, and now is a fast growing city with a good mix of modernity and faith. Owing to the topography of the city, summers are quite hot for Amritsar, but the monsoons bring a welcome respite. Starting from July and continuing till September, monsoons rule the city. With frequent showers and a pleasing atmosphere, it is always a bliss to explore the whereabouts of the city, which was certainly not the case during summers. 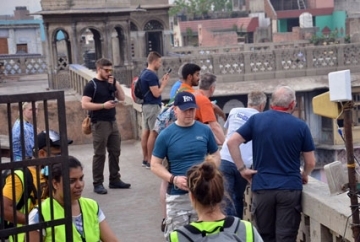 Popular attractions that can be visited in Amritsar during September are Golden temple, Durgiana temple, Wagah Border, Jalianwala Bagh, Ram Bagh and Pul Kanjari. Kashmir, the true paradise on earth, mesmerizes visitors throughout the year with its enchanting beauty. However, come September, and its beauty is magnified several times over. A ride on the shikaras on the Dal Lake really seems the most blissful experience ever. During this month, the beauty of places like Sonmarg and Gulmarg, with its meadows, lakes and snowcapped peaks, is really breathtaking. This month also brings out the charms in Srinagar. Trekking, hiking, and camping are some exciting pursuits. During the month of September, the whole of Europe seems like a dreamland sprung out from a fairytale. It’s also a treasure house of history, culture, music, art and architecture. There is so much to see and do here. Museums, gardens, shopping centers, musical theatres etc., and the list goes on. Further, every destinations offers something new with respect to the other. 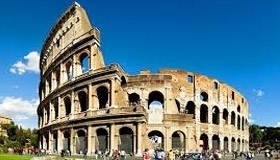 Visiting Europe is akin to hopping on a coaster roller ride of surprises, delights and fascinating discoveries. France endears itself to tourists by its medieval cities, alpine villages and spectacular beaches. It has gained a legendary status due to its distinct cuisine and fabulous wine. Its rich history is manifested by its distinguished landmarks like the Eifel Tower, spectacular pieces of art at the Louvre Museum and a grandiose vision at the Palace of Versailles. Besides these, there is the countryside of France with its lovely vineyards and picturesque villages. Come, September and it is one of the best places for vacations. USA is one of the best places to head to during September. Apart from the pleasant weather, the prices are at an all-time low and the crowds are significantly less in number. This enormous state is home to a large number of tourist attractions. This is the time to visit Seattle, which hosts a Seattle International Comedy Competition this time of the year. Hiking and camping is best experienced in Virginia. Famous tourist attractions like the Grand Canyon are best visited during this month.